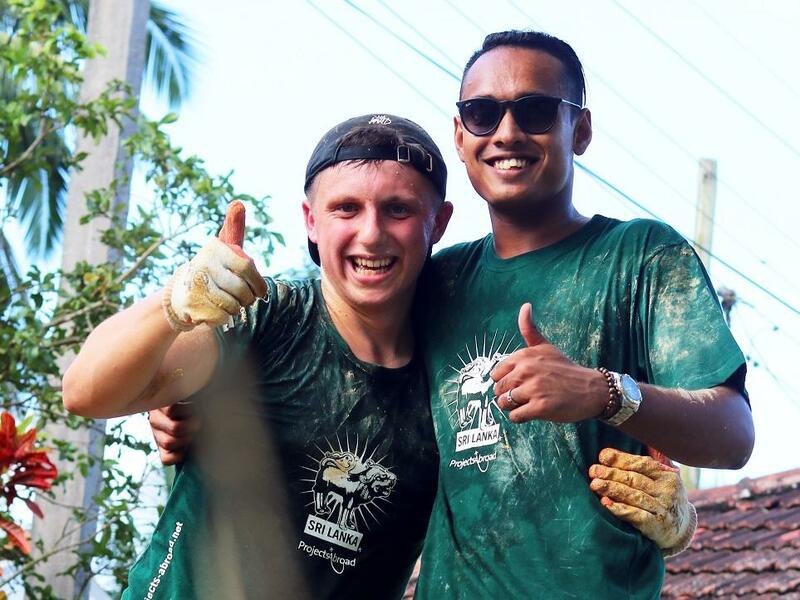 This summer I had the opportunity to go on an incredible volunteering trip to Sri Lanka with Projects Abroad to help less privileged children and communities. On Saturday 7th July, myself and 10 other students and two members of staff met at Birmingham airport and embarked on a 22 hour journey via Istanbul and The Maldives before arriving at our destination in Colombo, Sri Lanka. We were met on arrival by our Projects abroad guide, Amir. We boarded a mini bus and travelled to Matugama in the Western Province before a welcome meal and an early night. 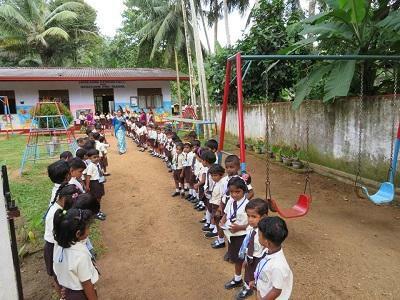 The following morning we visited the two preschools where we would spend the next 10 days working. 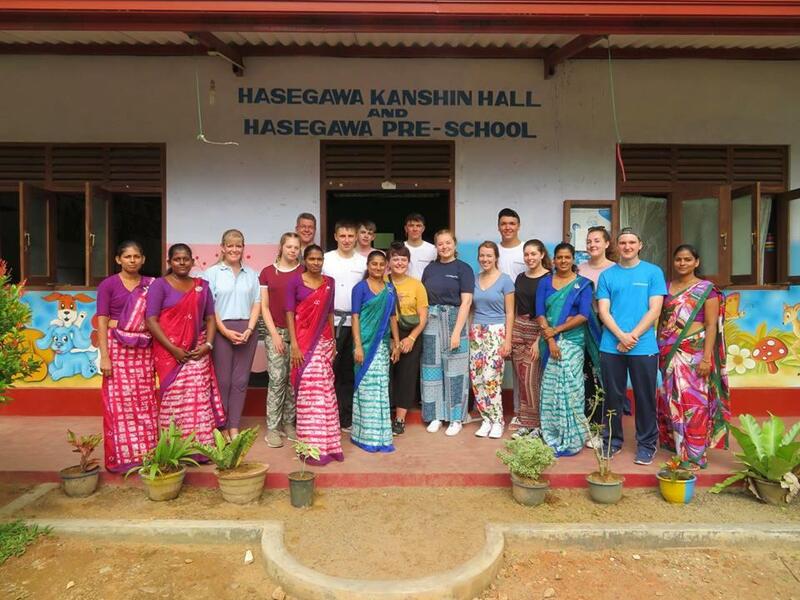 We had a mission, to teach over 100 preschool aged children at the Hasegawa School in Matugama in the mornings, before moving to the Gramasanvardhana School in Welipenne to complete a building project at a rural school with no government funding. Following these visits, we had an induction afternoon and we were tasked with planning engaging activities for our classes for the following weeks. Tuesday morning was hectic! In school for 8:10, cleaning the classrooms, sorting the resources for lessons and then welcoming the children. We watched their daily 15 minute morning worship before being handed them and running a half hour active learning programme (which was hard work for us Brits in the humidity!) The active programme was designed to wake them up. It involved singing, dancing, exercises, and some well-known English bursary rhymes. 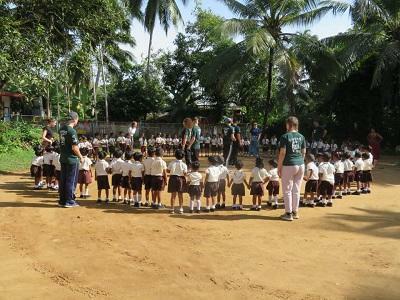 Lessons to begin with were difficult due to our limited knowledge of the local language, Sinhalese. We all could say ‘Hello’ but beyond this we were struggling. 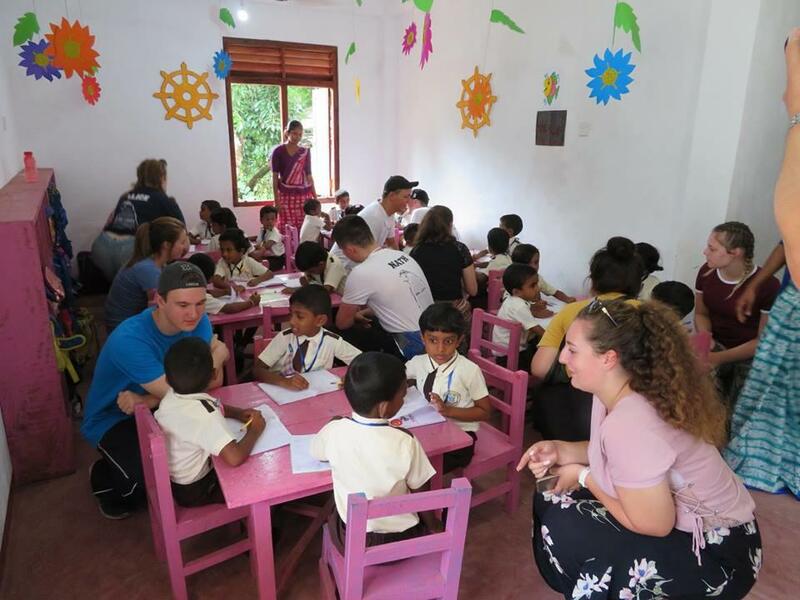 However, most of the children knew a few simple English phrases; we had to communicate through sign language or demonstrating what we wanted them to do. Through this we could play basic games and arts and crafts, but most importantly have fun. 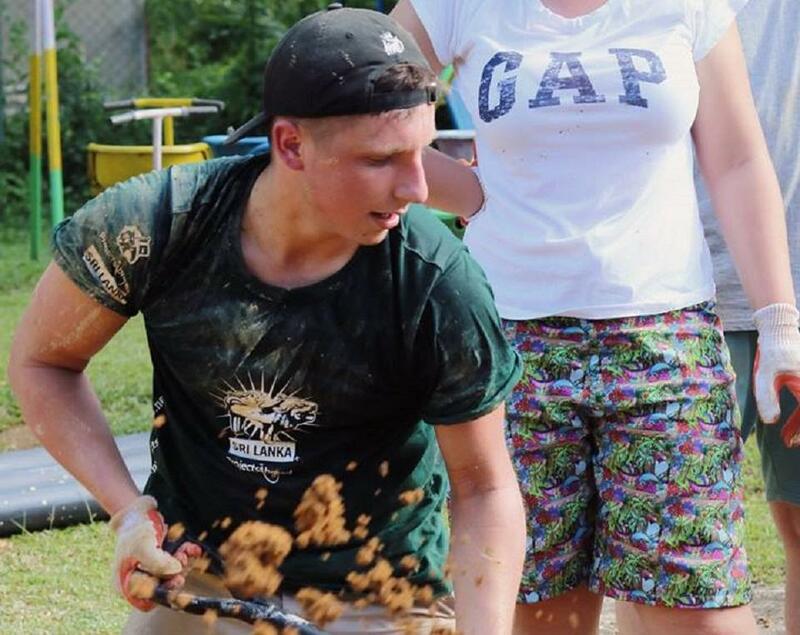 We returned to the hotel for lunch, changed our outfits into something less smart, and headed to the second school to make a start on digging a 15 metre trench for the toilet block. How a school with children can survive for 4 years without toilets is beyond me! It made us realise just how privileged we are in the UK. We had really bonded as a team and took it in turns to use the basic tools on the hard ground (a JCB 3CX would have definitely made the job easier). 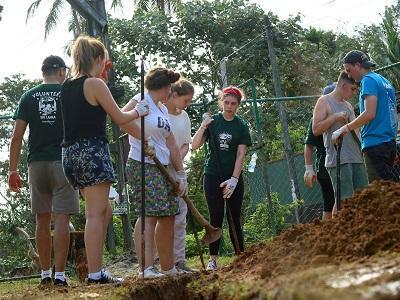 The hot and humid weather made things very difficult as it was something none of us were used to. We were determined to see the project through to the end within the week and the local builder was very surprised at our great progress. 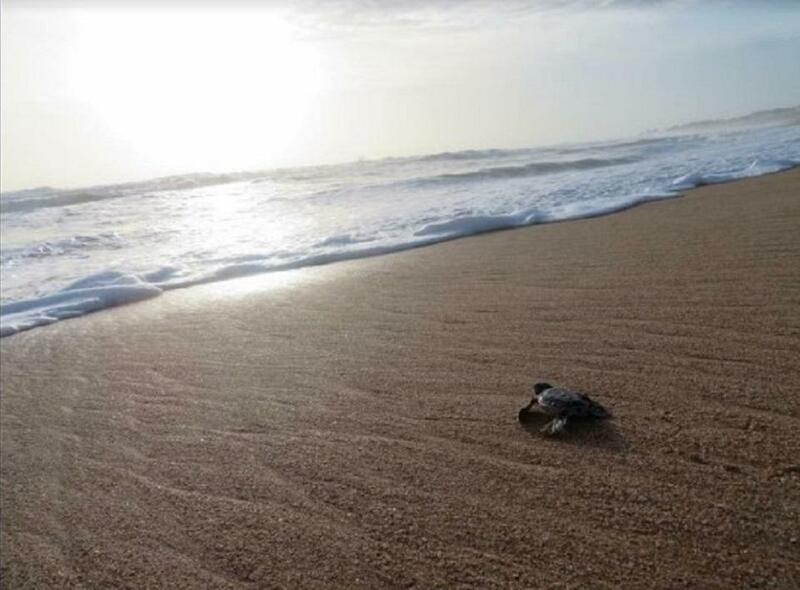 Having completed the building project early, we were also able to visit a conservation project where turtles are hatched and released (we were even allowed to release baby turtles back into the ocean). We visited the Dutch/Portuguese fort at Galle, which was severely hit by the 2004 Tsunami. One evening we even experienced a cooking demonstration and a meditation session run by our incredibly talented host Amir. In the final days of our trip, we hosted a party for the pre-school children, visited the building project for the official hand over of the facility and the hotel provided a special farewell meal. Evenings and weekends were jam-packed with exciting opportunities to explore the rest of Sri Lanka. We travelled inland to Kandy via a traditional Sri-Lankan Market, a tea plantation, a Batik workshop, a wood carving business, a visit to the Buddhist Temple of the Tooth Relic and a Kandyan Cultural Dance show. As we made our way home, we visited the Square of Independence in Colombo and said our goodbye’s to the Project Abroads team in their office. It was an amazing opportunity that I will never forget. It was so rewarding to help a community that is less fortunate than ours, it is hard to put into words how amazing it was. The trip was a truly unforgettable experience, something I will be repeating without a doubt. It was amazing to see people who have so little, be so happy, so polite, welcoming, generous and hospitable. I would like to say a huge thank you for Dr Jones and Mr Stanmore who organised this trip for us. To Amir Jurangpathy, our Projects Abroad Guide, who made our trip run smoothly. 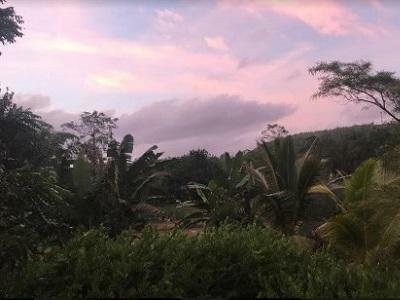 To the people at Projects Abroad who organised all of our placements and ensured we were safe during our time in Sri Lanka. And finally, to The Oddfellows, who generously funded part of my trip, without whom I would not have been able to go on such an unforgettable journey. 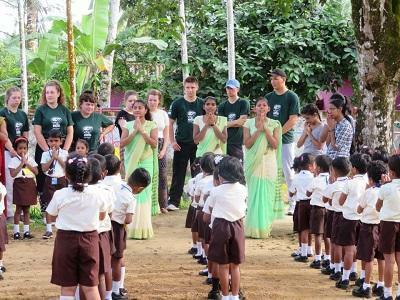 If you would like to learn more about our Care & Community Projects in Sri Lanka then please click here. If you would like to learn more about our Building Projects then please click here.